An ancient Chinese legend is magically transformed into an unparalleled adventure bursting with action, emotion, and lots of laughs in Disney's heralded 36th animated classic, Mulan. A spirited young girl named Mulan, who doesn't quite fit into her tradition-bound society, discovers that her aging father has been ordered to help defend China against the invading Huns! In a brave and selfless act, Mulan disguises herself as a man and takes her father's place in the Imperial Army, where she trains with a comical group of warriors, led by the handsome Captain Shang. Never far away are Mulan's hilarious guardian dragon, Mushu, and lucky cricket, Cri-Kee. But Mulan will need more than Mushu's razor-sharp wit to defeat the ruthless Hun leader, Shan-Yu. Only by staying true to her heart will Mulan blossom into a skilled soldier and bring victory to her nation and long-awaited honor to her family! Triumphant on all fronts, Mulan's breathtaking animation, sensational music, and action-packed battles amid snow-covered mountains will amaze and inspire your family like no Disney Classic before! $22.745 million on 2888 screens. With 1998’s Mulan, Disney takes us to ancient China. A vicious Hun warlord named Shan-Yu (voiced by Miguel Ferrer) threatens the Chinese. The Emperor (Pat Morita) demands one member of each family to serve in the military, and without a son in his clan, former warrior Fa Shou (Soon-Tek Oh) needs to go despite his advancing age and mild disability. Fa Shou’s daughter Mulan (Ming-Na Wen) goes behind her dad’s back and takes his place, even though this could cause major issues if she gets caught. We follow Mulan’s attempts to pass herself off as a male and also to serve as a soldier. Along the way, a mystical dragon named Mushu (Eddie Murphy) and a lucky cricket named Cri-kee (Frank Welker) work to assist/protect her. It becomes interesting to examine Mulan in comparison with other Disney films, especially opposed to its immediate predecessor, 1997’s Hercules. The latter is one that I didn't much like even though I thought I should. It seemed to have everything one would want from a Disney film but yet it all seemed somewhat cold and calculated; while all the components were there, the whole package came across as less than satisfying. Mulan, on the other hand, looks weak when dissected and viewed in traditional Disney terms. Most of the characters seem flat and undistinguished. Mulan herself becomes interesting in a spunky way but she doesn't portray a whole lot of personality. As our main villain, Hun leader Shan-Yu strikes an impressive pose and feels very menacing, but he also lacks personality and turns into one of the least compelling Disney villains of the era; for instance, Hades in Hercules feels much more entertaining and provocative. Most of Mulan's comic sidekicks appear generic and one-dimensional except for main foil Mushu. Voiced by Eddie Murphy, that character adds life to the movie but does so in an anachronistic way that seems likely to trivialize and detract from the plot. Add in some very undistinguished and unmemorable songs and you have a recipe for a weak Disney film. But that's not what we get. Despite all the potential problems, Mulan succeeds, and does so tremendously well. I'm not going to get into any of that "best Disney movie since..." nonsense because I liked all of their animated films from the Nineties; even Hercules grew on me eventually. Still, Mulan provides a compelling film with a nice spectrum of thrills, drama, emotion and laughs. In short, it's exactly the reason most of us go to see Disney movies. Normally in my reviews I try to use my feeble little brain to analyze the film in question and to discuss various aspects of it, but I'm not going to do so here because - as I've already noted - Mulan will not hold up well to close inspection. That doesn't mean that it really is flawed; it simply signifies that the whole is greater than the sum of its parts. Mulan is entertaining and exciting to boot - let's just leave it at that. Okay, my "li’l Ebert” side insists I discuss one issue in the film: Eddie Murphy. His semi-jive talking dragon seemed quite popular with audiences but he received a bit of a critical drubbing because the character seemed so out of place. Why was this urban, African-American-influenced monster romping around medieval China? The popular criticism was that it didn't make much sense. No, it didn't. Of course, neither did a story about a mermaid or a tale that involves a prince who was turned into a beast. One could argue that those were fairy tales whereas Mulan tries to be more reality-based, and that's a valid point. Really, the best comparison one can make is to Aladdin. It also came from something of a historical vantage point that featured moderate amounts of magic. However, no one seemed to mind the Genie in that film, a character whose personality made as much sense in the context of the world of Aladdin as does Mushu in Mulan. Although I had my apprehensions about the character, Mushu works well within the film. Murphy offers a nice performance that doesn't quite compete with that of Robin Williams as the Genie - or even his own endearing Donkey from Shrek - but Murphy manages to make the character his own and keeps him interesting. Mushu could have been obnoxious and painful to watch, but Murphy lends him an endearing quality that helps the character succeed. Actually, Mulan integrates humor much better than seen in the prior few Disney efforts; in some of those, the lighter moments seemed randomly inserted just because the audience expected them. The worst offender in this regard was Hunchback of Notre Dame. Frankly, I really liked that movie except for the fact that its creators backed down at key moments. Hunchback was a surprisingly intense effort - I really believe that if anyone other than Disney had produced it, it would have received a "PG" rating - but the producers often undercut the drama with inanely lighthearted scenes. For example, just as the film neared its climax, we stopped to hear a comedic tune called "A Guy Like You". This completely deflated the tone. Mulan manages to make much smoother transitions and it comes across as much better assembled in that regard. Ultimately I enjoy Mulan. It might not merit mention alongside Disney’s greatest achievements, but it stands as one of their more consistently engaging and likable efforts. It manages to combine a mix of different genre elements into one fun and entertaining package. Mulan appears in an aspect ratio of approximately 1.66:1 on this Blu-ray Disc. This was a consistently stellar presentation. Definition excelled. At all times, the movie showed strong clarity and definition, with no hints of softness on display. No concerns with jagged edges or shimmering occurred, and the movie seemed completely free from any print flaws. Edge haloes remained absent. Colors appeared very good. The movie came with a dynamic palette, and the hues were consistently vivid and vibrant. Blacks also looked deep and firm, while low-light shots offered strong depth and delineation. Everything worked great here and turned this into a terrific presentation. I also liked the DTS-HD MA 5.1 soundtrack of Mulan. Although occasionally a little subdued, the soundfield mostly filled out the spectrum nicely. The front soundstage was quite active and displayed some pretty good localization. Elements popped up in the correct places and blended together concisely. Rear usage was a bit lackluster at times, though the track kicked to life well when necessary. The battle scenes demonstrated positive action in the surrounds and helped create an involving piece. The track probably could have made the rear speakers more forceful, but they complemented the material in a more than acceptable manner. Best of all was the quality of the audio, as Mulan boasted strong dynamic range. There's some real bass thumping in there at times and it always sounded crystal clear. Obviously all of the dialogue was dubbed, but it worked into the mix effortlessly and naturally. Effects sounded real and convincing, and the music appeared very smooth and packed a nice punch. It's not a demo mix, but it underscored the action very well and sounded quite good. 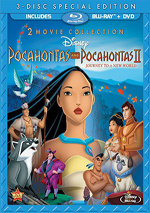 How did the Blu-ray compare to the 2004 Special Edition DVD? Audio seemed more dynamic and vibrant, while visuals appeared tighter, better defined and more vivid. This was an obvious improvement. Most of the Blu-ray’s extras repeat here, and we open with an audio commentary from producer Pam Coats and directors Tony Bancroft and Barry Cook. All three sit together for this running, screen-specific piece. If you’ve heard prior Disney commentaries, you’ll know what to expect here. We learn about story issues and pacing, characters and the actors, the film’s tone and use of Asian culture, research and attempts to balance accuracy, and other production elements. The piece seems more low-key than usual, but it covers the information concisely and gives us a nice examination of the movie’s creation and main issues. When I saw Fun Facts listed as a feature, I thought this would offer a subtitle commentary. It doesn’t. Instead, “Fun Facts” presents a two-minute and 13-second montage. We see various behind-the-scenes clips with minor “pop-up” trivia about the movie. These are decent tidbits, and the track exhibits a playful sense of humor with remarks like “If the 27,780 pencils used to draw Mulan were laid end-to-end…the movie never would have been completed.” Still, it’s a disappointment that we don’t get the expected subtitle commentary, as this piece doesn’t tell us much. Next we find seven Deleted Scenes. These run a total of 22 minutes, 35 seconds and include one unused song called “Keep ‘Em Guessing” along with the six excised moments. All are told via story reels, as no completed animation appears. The mix of alternate intros are interesting to see, and the “Betrothal” scene is pretty good. The others vary in quality but are all worth a look. Each clip features an introduction that provides some notes about the scene as well as the reasons for the cuts. We hear from Bancroft, Cook, supervising animator digital production Rob Bekuhrs, and co-head story Dean DeBlois. Their remarks prove useful and illuminating. Taken through the “Play All” method, these segments last a total of eight minutes and 34 seconds; additional narration shows up in the menu screen as well. These clips cover topics like the historical Mulan, the role of ancestors in society, dragons and the huns. Obviously oriented toward the kiddies, these pieces offer a moderately entertaining little romp through the material. We also see five music videos. Two repeat from the original 1999 DVD: "Reflection" from Christina Aguilera and "True to Your Heart" from Backstreet Boys wannabes 98 Degrees and Stevie Wonder. Both clips are fairly generic movie-song videos that intercut shots of the performers miming their songs with scenes from the film; "Reflection" shows Aguilera wandering around some sort of Chinese temple, I believe, while "Heart" depicts 98D and Stevland flopping about some city's Chinatown (LA, I'd guess). Both are completely average and not terribly interesting unless you are a particular fan of any of the acts involved. I'm not, so I seriously doubt I'll ever watch either video again. After this comes “I’ll Make a Man Out of You” done in Mandariin by Jackie Chan. No movie clips appear; instead, Chan emotes and demonstrates various martial arts moves in this silly video. Finally, Disney Channel star Raven updates “True to Your Heart”. It’s not a very good version, and since the video only shows Raven as she lip-synchs in the recording studio, it seems cheap and unfulfilling. Under “The Journey Begins”, we get four elements. A six-minute and 48-second featurette called Discovering Mulan opens. It uses movie snippets, behind the scenes materials, and interviews to tell its tale. We hear from Coats, Cook, art director Ric Sluiter, and artistic supervisor layout Robert Walker. They talk about their research trip to China and the ways that trek influenced the movie. They give us good insight into the processes and inspirations in this tight piece. After this comes The Ballad of Hua Mulan, a five-minute and 18-second clip. It shows concept art created for the movie as we hear the poem that inspired the film. It’s an interesting segment as we compare the final tale with this precursor. Lastly, we get two Early Presentation Reels. We see one from 1995 (two minutes, 20 seconds) and one from 1996 (one minute, 59 seconds). These display progress on the film to depict its path. The 1995 one is a story reel for the scene in which Mulan decides to take her place in the army, while the 1996 set shows various visual designs created for the flick. Both are worth a look but nothing fascinating, especially since we get similar material elsewhere in the package. Within “The Story Artists’ Journey”, two sections appear. Finding Mulan gives us a seven-minute and four-second featurette with notes from Coats, DeBlois, Bancroft, Cook, supervising animator Mark Henn, character designer Chen-Yi Chang, and head of story Christopher Sanders. They chat about early thoughts on the Mulan and mistakes on that path, the character’s development and relationships, visual aspects, and different elements of her personality. They provide nice insight into the concepts behind Mulan and how they came to make her a full character. We also find a Storyboard to Film Comparison that lets us watch the scene with Mushu and the stone dragon. We can check it out via storyboard only, final film only, or a split-screen comparison of the two. The clip lasts 84 seconds and offers a good examination of the two elements. Four sections come to us in “Design”. Art Design lasts five minutes, 33 seconds and includes information from Bancroft, Sluiter, Coats, Cook, Walker, artistic supervisor backgrounds Robert Stanton and production designer Hans Bacher. As one might expect, they discuss the film’s visual look and those elements. We hear about struggles to find the right tone, decisions made, influences, and the execution of the visuals. We get a solid feel for the choices and inspirations as well as problems encountered along the way. Character Design goes for three minutes, 47 seconds with comments from Bancroft, Coats, Cook and Chang. They talk about the need for unity as well as how Chang designed the characters and decisions made in those areas. It’s another short but solid examination of its subject. Called Ballad of Color, the final “Design” featurette fills four minutes, 27 seconds. It presents notes from Bancroft, Sluiter, Bacher, CAPS supervisor color models Irma Cartaya-Torre and Stanton. As one might expect, the cover the movie’s color design and let us know how they used various hues to symbolize various elements and add to the film’s depth as well as influences. The clip gives us a good interpretation of this side of the production. Production let us see stages of animation for two scenes: “Mushu Awakens” and “Matchmaker Meets Mulan”. We can watch either sequence in a variety of stages: story sketch, rough animation, clean-up animation and effects, and final color. “Mushu” also comes with stage-specific introductions from Sluiter who gives us details about the steps. Overall, this area offers a solid look at the various elements that go together to create the final product. Digital Production gives us a closer look at the computer elements for two scenes. We examine “The Hun Charge” (four minutes, 50 seconds) and “Digital Dim Sum” (four minutes, one second). We get remarks from Bekuhrs, Bancroft, artistic supervisor digital production Eric Guaglione, and animator digital production Sandra Groeneveld. They let us know how they choose when to use computer animation in a hand-drawn feature as well as the techniques involved and specifics about the segments. The featurettes give us good insight into the processes as they educate us about the methods utilized. Next we get a five-minute and 13-second featurette called Songs of Mulan. It includes information from Coats, DeBlois, Cook, lyricist David Zippel, and composer Matthew Wilder. They tell us about how they decide what moments could use songs, how they try to integrate the tunes, the composition of the tunes, fine-tuning and recording. “Songs” fits in with the other featurettes, as it adds to our understanding of the movie’s creation with a tight and informative program. Mulan’s International Journey lasts five minutes and 44 seconds as we find notes from vice president Disney Character Voices International Blake Todd, senior vice president Disney Character Voices International Jeff Miller, senior vice president, creative Rick Dempsey, They talk about the history of translated Disney flicks and discuss the challenges of these alternate recordings. Though many Disney releases include the multi-language reel I’ll discuss in the next paragraph, we don’t often hear much about how Disney created those dubbed renditions. As such, “International” offers a cool examination of the issues connected to this subject, and it’s a lot of fun to see. The usual Multi-Language Reel runs and offers “I’ll Make a Man Out of You” in a mix of tongues. We get snippets in German, Castilian, French, Spanish, Japanese, Finnish, Thai, Portuguese, Italian, Mandarin, Swedish, Danish, French Canadian, Czech, and Cantonese. It’s cute but nothing special. The disc launches with ads for The Little Mermaid and Monsters University. These also pop up under Sneak Peeks along with promos for the Disney On Ice, the Newsies stage show, Planes, and Return to Neverland. No trailer for Mulan appears here. 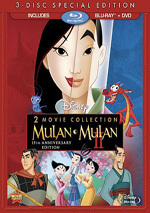 A second disc offers a DVD Copy of Mulan. It includes the commentary and a few other extras. Mulan remains one of the best Disney flicks from the modern era. It didn’t rake in mega-bucks of the studio’s most financially successful efforts, it stands as a very well-realized effort that aptly demonstrates the genre’s strengths with almost none of its weaknesses. The Blu-ray delivers excellent visuals along with very good audio and bonus materials. I feel pleased with this release and think it represents the film well. 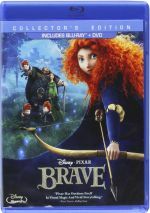 Note that the Blu-ray of Mulan pairs it with its 2005 direct-to-video sequel. Both appear on the same disc.